We are kicking off our #kindwithcalvin Summer Mission this week! We are very excited to spread love and kindness this summer! This week we chose a sweet young man to send a get well card to. He is the same age as Addison, but has faced more adversity than any little one I have met. Just recently, he has been in the hospital for over a month with complications from a procedure he had. 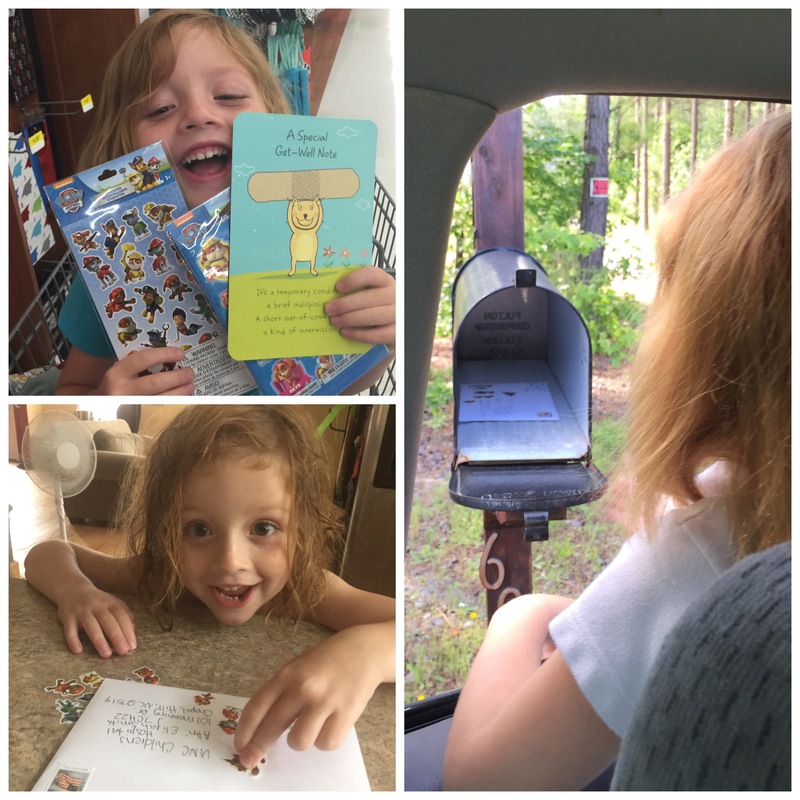 Although Addison has never met this young man, she was excited to pick out some stickers and send him a card. I have known his Mom for several years, and we have been following this sweets young mans journey. We pray for healing little one, that you are able to go home soon and that you continue to be a shining light of hope and love to everyone you come in contact with!